The 2550 Mini Reflex has a matte satin finished blade with a plain cutting edge. The handle is black anodized aluminum with a tip-up pocket clip. 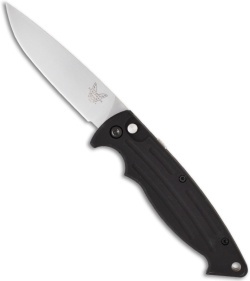 The Benchmade Mini-Reflex 2550 series has the solid performance and toughness you expect from Benchmade. This automatic knife fires and locks open via the push-button lock. The black anodized 6061 T-6 aluminum handle has a great profile for grip and comfort with a deep index groove and lip at the base. The 2550 also has an integrated safety on the handle. The 154-CM stainless steel drop-point blade is perfect for a wide range of tasks. 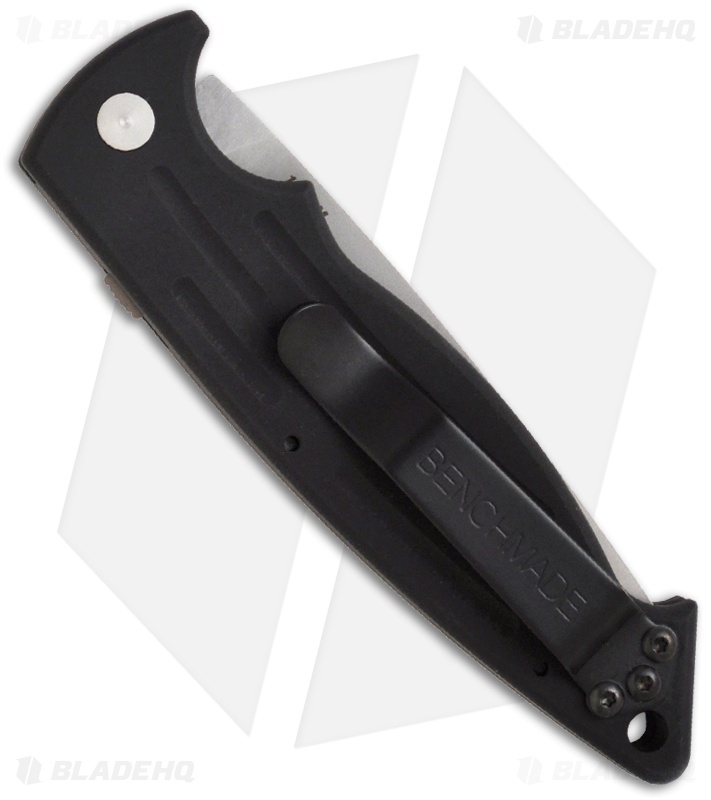 The Mini-Reflex is an excellent everyday duty carry knife that won't weigh you down.